Did you apply for the Nigeria prison service? well, I have a good news and a bad news for you. The good news is that I will teach you how to check your name in the NPS shortlisted candidates list for the 2018 recruitment. While the bad news is that this list is not yet out. I don't know what they are still waiting for. But before you go, I will advice you to notify me in the comment box below to inform you when ever the list is released by dropping your email address. To save you the cost of doing this in a cyber cafe, I decided to teach you how to go about doing it so as to save yourself from unnecessary spending. 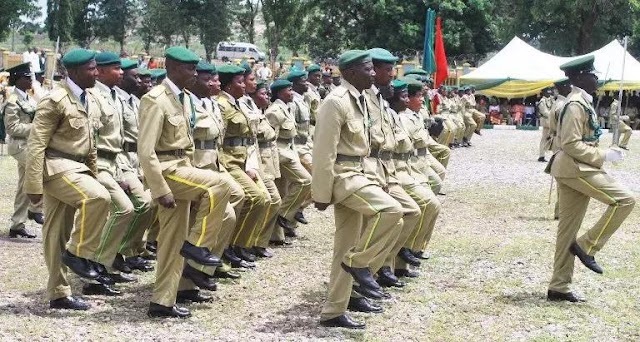 All what you need to do is visit the recruitment portal https://recruit.prisonsportal.com.ng/recruit. Don't worry if the page shows you a 404 error. Once the list has been released, it will open. It is possible for you to get an invitation from the Nigeria prison service if you did well in the screening. Make sure you don't pay anything to anyone who says he/she will help you get recruited. They are all scammers. Even though he/she works with the NPS, don't do that or you will end up regretting after seeing the list. Make sure even if you are to pay to someone to help you, you know the person so as to avoid being scammed. NB: There are some accounts on the various popular social networks that send you messages luring you to pay a small amount to them saying they will help you out. My brother/sister, no matter how desperate you are, please don't pay this amount no matter how cheap it is because they will just scam you. For more information on the Nigerian prison service, you can visit their website. Just in case you have any useful information which you will like to share with us about this recruitment, please use the comment box below to share with us. Your contribution may be important to others. Don't forget to share this post with your friends using the social network icons below. Thank you and have a nice day. We will inform you later is the NPS list is released.